As we enter the full swing of summer, some garden plants jump-start growth, while others drift into a quiet season. On the one hand, veggies, berries, herbs and other edibles begin producing like mad, and warm-season flowering annuals and perennials continue to pump out blooms. 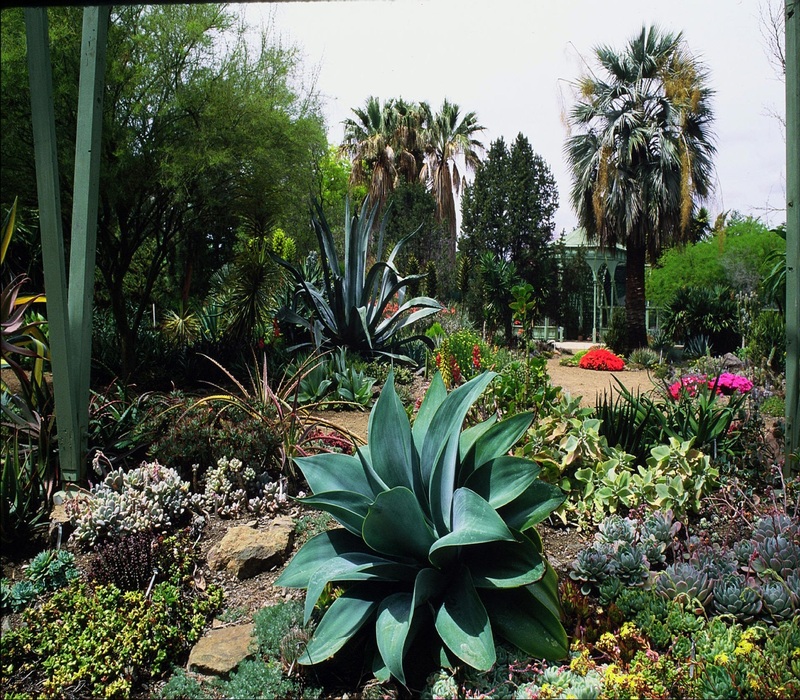 Many California natives and drought-tolerant plants, on the other hand, slow their growth and require less water and care than at other times of year. By Sample an unusual stone fruit. Now’s the best time to taste different varieties of stone fruit to pick out a type to grow in your garden. For apricots and cherries, act quickly since many peak in early summer. You have a bit more time to sample plums, peaches, nectarines and pluots — many of which ripen from late June through late August. Pick out your favorite fruit variety now, but wait until fall to plant in all areas of the state except for cool coastal regions. 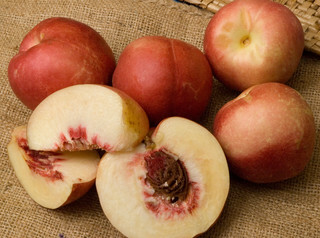 Why not try a newly introduced hybrid, such as an aprium (a cross between an apricot and a plum, but with more apricot flavor than a pluot), a peacotum (a tri-parent cross of a peach, an apricot and a plum with a slightly fuzzy, blush skin and a bright gold interior) or a Spice Zee NectaPlum (a highly flavorful tri-parent cross of a peach, a nectarine and a plum with creamy-white flesh). All three are available to home gardeners, although you may need to ask your local nursery for a special order. 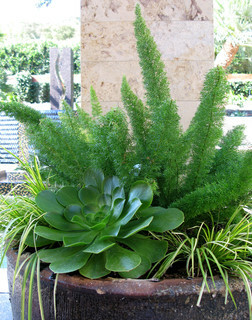 Plant a shade-loving succulent. We usually think of these fleshy plants as growing in full-sun conditions, but Aeoniumsucculents thrive in dappled light and can be real stars of your shade garden. A few to try: A. canariense, A. ‘Mint Saucer’, A.‘Jolly Green’ or other ‘Jolly’ hybrids, such as ‘Jolly Clusters’. Grow berries in a container. The BrazelBerries group made waves in the horticultural world when it released a handful of container-friendly dwarf berries a few years ago. Now sold under the name Bushel and Berry, Raspberry Shortcake, Peach Sorbet and Jelly Bean are the most productive and flavorful. 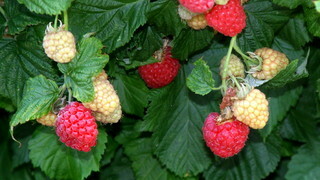 If you try one of them this year, pick up an already-fruiting plant at the nursery and enjoy harvesting blueberries early in the month (they peak in early summer) or raspberries through the end of the month. Cut back on summer water for low-water plants and natives. 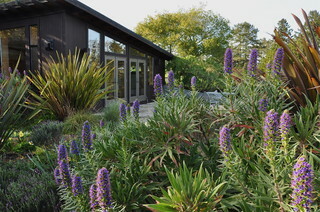 Many California natives and other common drought-tolerant garden plants, like pride of Madeira (Echium candicans), shown here, have evolved to thrive in dry-summer climates. Reduce water to beds with these plants to very infrequent, if any, irrigation, allowing the soil to dry out but not get bone-dry. A layer of mulch over beds will help conserve water and prevent soil from becoming hard-packed. Evaluate your landscape for water guzzlers. As we move into the heavy-irrigation season, take note of which areas of your landscape need the most water. While the height of summer isn’t a good time to plant (it’s best to wait until fall for major relandscaping), you’ll most likely feel your garden’s irrigation needs more acutely than in the rainy season. 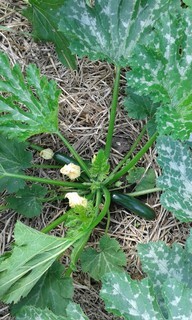 Harvest zucchini and other summer squash frequently. Have you had the experience of brushing aside a scratchy squash leaf and finding a gargantuan fruit below? Keep zucchini and other summer squash from becoming the size of a baseball bat by staying on top of harvesting — the flesh is most tender when the squash’s diameter is under an inch. Control for powdery mildew. The leaves of summer squash, pumpkin, zinnia, dahlia and other plants can be targets for fungal diseases like powdery mildew. The telltale sign of powdery mildew is a white coating in a mottled pattern on leaves. Remove affected leaves as soon as you see it to help keep the mildew from spreading. Once multiple plants have the disease, it can be tricky to get rid of without spraying (not recommended for edible gardens or beds near edible gardens). Help prevent plants from getting powdery mildew in the first place by watering at the base, rather than by spraying from overhead. Mulch beds. If you didn’t get around to mulching beds this spring, do it now. You’ll save yourself time weeding and watering the rest of the season. Spread a layer of bark or straw mulch about 2 to 3 inches thick over all garden beds, including edible gardens, and raking it smooth. To prevent root rot, keep mulch away from the crown of plants, pulling it back into a mini moat around larger shrubs and trees. Pick tomatoes and fertilize plants. Keep picking tomatoes to encourage plants to keep producing. If you’re leaving on a summer vacation, you can pick the tomatoes while green — they’ll continue to ripen on your kitchen countertop. 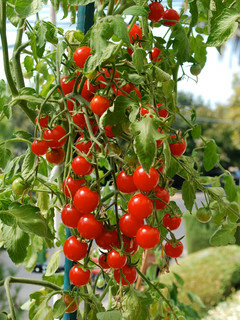 Tomato plants are heavy feeders and benefit from light fertilization throughout the fruiting season. Apply a diluted dose of fish emulsion or other organic fertilizer once every one to two weeks until the plants stop producing tomatoes.